Football in the snow conjures up some fantastic images. Orange balls. Sliding tackles. Cleared lines marked on pitches. 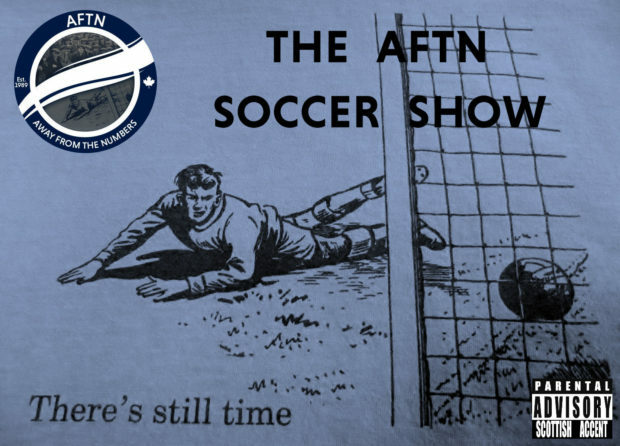 A football show in the snow isn’t quite as magical but we try our best to keep you all cozy again this week as Snowmageddon 2019 hits Vancouver. Thankfully for the Whitecaps, they’ve been in the tropical climes of Hawaii. Unfortunately for them, they’re flying home! That’ll be a shock to their system, as was some of the Whitecaps news of the week. We delve into it all looking at the arrivals of Erik Godoy and Joaquin Ardaiz, the rumoured additions of Fredy Montero and Brian Ruiz, the departure of Marcel de Jong, and, of course, the ‘Caps two preseason matches in Hawaii. Not that you can glean too much from those. We also sit down for chats with Whitecaps midfielders Andy Rose and David Norman about returning to MLS, the season ahead, and their respective times in Scotland with Motherwell and Queen of the South. Plus some MLS and CPL news from the past week and Soccer Hooligans feature in this week’s Wavelength section.